The iconic Roseland Ballroom, a favorite of bands and audiences for decades because of its size and sentimental importance, will reportedly soon join a growing group of music venues that have shuttered in recent years, an increasing trend that some say is distorting the artistic identity of New York. 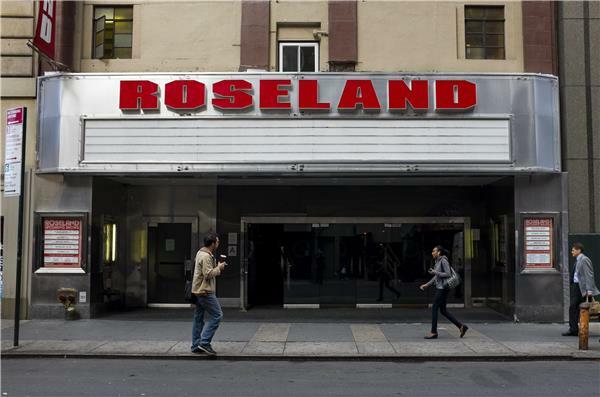 Roseland, set to host its final act in April 2014, as first reported by Billboard last month, joins recent musical landmarks to close up shop, including Park Slope’s beloved Southpaw and Bleecker Street’s Kenny’s Castaways in 2012, Amato Opera on the Bowery in 2009 and, most famously, the irreplaceable CBGB in 2006. Other cultural institutions aren’t immune: The artistic and creative hub 3rd Ward in East Williamsburg unexpectedly closed last month. Andrew Berman, executive director of the Greenwich Village Society for Historic Preservation, said more of these iconic New York venues are being squeezed out by increased development in areas these performance spaces made remarkable in the first place. “It’s this sort of vicious cycle, which is that these sort of places tend to come into edgy, up-and-coming neighborhoods, they help make them into desirable locations, vibrant places to be, and then they’re the victim of that success because they attract the sort of broader crowd with more money,” Berman said. “Then what they’re replaced with is typically a chain store or a coffee shop or, in some cases, these sort of more upscale types of retail establishments, which don’t make the same kind of contribution to the cultural vitality of the neighborhood,” he said. During his time as mayor, Michael Bloomberg rezoned about 37 percent of the city. This opened the door to the development in growing areas that some have said helped force out those classic institutions. Maria Kenny, whose family owned and ran Kenny’s Castaways for 37 years, shut down the club in October 2012 after the changing nature of the neighborhood made it impossible to stay open. Kenny added that the last decade or so has been one disaster after another for the owners of these cultural and artistic landmarks, including skyrocketing real estate prices, Bloomberg’s indoor smoking ban, gentrification and, of course, 9/11. Simeon Bankoff, executive director of the Historic Districts Council, agreed that “real estate pressure” is pushing these places out, among a litany of other factors. “The arts community is an enormous job creation community within the city and it benefits everyone,” he said.